Cakes on the shelves! Avert your eyes is impossible! Flowers, leaves, berries, and even houses Yes cars... works of art! Question: can home make this beauty? Or at least a basic inscription on the cake? If you have patience, a steady hand and taste to decorate the cake, the inscriptionof Yu , of course, possible. To implement it is not as difficult as it seems at first glance. Do it with butter cream or protein mass. 3-5 drops of lemon juice. Prepare butter cream. For this, the packet of butter at room temperature, add one can of condensed milk. Add slowly in small portions, thoroughly mixing each portion with butter. Whipping cream is not necessary, it can become watery. Select the nozzle for confectionery syringe. Better to take a corrugated nozzle with a small diameter. The line made with this nozzle will be less noticeable. Place the cream in a syringe and make the inscriptionappropriate to the occasion. Confectionery syringe to move gently, no sudden movements. Push the plunger smoothly. Prepare the protein mass. For this, 0.75 cups of powdered sugar place in a bowl. Gently stir the powder, combine it with 1 egg white. Whisk the icing sugar with egg white to obtain a stable foam. Weight should be lush. To improve plasticity in the process of whipping weight, add 3-5 drops of lemon juice. Put the mass in a pastry syringe with thin nozzle and make the inscription. Before performing the inscriptions on the cake, you can practice on the plate. Assuming that the inscription on the cake, you made a mistake with a knife gently remove the cream and make a new label. Utensils for whipping protein must be absolutely clean. Creamy and protein mass can add food coloring. Protein weight - perishable product, use it immediately after preparation. Think in advance what places when you run labels, you can terminate the line without sacrificing aesthetic sensibility. It may be the connections of letters or their elements. If you don't have a pastry syringe, you can take a paper cone, cut the tip so the hole was small, and put of cream, squeezing the cone. Delicious cake you can bake at home. And that he was still beautiful, make on the surface of the confection corresponding to the event of inscription Fudge, cream, chocolate or sprinkles. - 10 tablespoons of sugar. Beautiful calligraphy can be done using butter cream. Mix 4 tbsp milk with the same amount of sugar and, stirring, heat the mixture on a slow fire. When the sugar is completely dissolved, pour the resulting mass of the egg and cool it. Add 200 g chilled butter and whisk the mix by hand or with a mixer. Finished in cream can add a variety of colorants and natural or artificial flavors and flavoring, e.g., vanilla or cocoa. 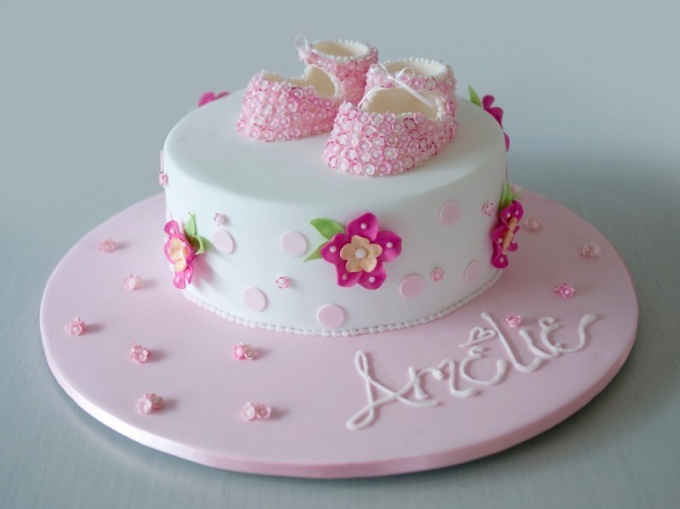 Very decorate the cake and inscriptions made fondant. Combine milk and sugar in the ratio 1:2 and bring to a boil. The resulting mass simmer until thick. Check the readiness of the mixture by dropping a little on a saucer - a drop properly cooked fondant should not spread and hold shape. Cool the prepared mixture and start painting. Prepare cake. It can sprinkle with crumbs, cover with layer of cream, icing or sugar paste. Below the inscription turned out neat, write it first with a toothpick. Put the prepared mass in a pastry syringe. If you don't have one, take parchment paper, roll it in a bag and cut a tip. The narrower the hole, the thinner will be the line. With a syringe or paper kornetika possible to make the different drawings and inscriptions. When you are finished, sharp movement, remove tip of syringe from the surface of the cake in the direction of the inscription, the Tang of the cream settles on top of it and will be invisible. If you don't want to waste time making fondant or cream, make the inscription of chocolate – dark, white or milky. Melt the tile without additives on a steam bath to avoid burning. Take a plate and cover it with tracing paper. On tracing paper make a pattern of melted chocolate. Wait until it hardens, and carefully remove it from the paper. The resulting inscription put on the cake. This chocolate decor do not have to put on the cream, it can be installed vertically. Another option for decorating - pictures of the topping. Make a stencil out of paper, cut on it an inscription. Apply the leaf stencil to the surface of the cake and roll it in cocoa, nuts, colored sugar balls or coconut. Carefully remove paper and your cake will remain in the desired inscription. Cake and cake have become constant companions of all holidays. But to make each cake individual and the original will help us chocolate labels. Decide what color you want the lettering, and choose dark, milk or white chocolate. Chocolate divide into slices, put into a small container (Turk for coffee, aluminum travel mug, a small saucepan) and melt it on low heat. Lay a sheet of oiled paper, and gently, using a pastry syringe to squeeze the planned inscription. The inscription finished with the worksheet, place in refrigerator and allow to harden. Then transfer the inscription on the cooled pie or cake. If you are afraid that the letters will get rough, you can print the inscription on the printer, put the sheet into a clean file and the file over to circle the letters with chocolate. Next, with the file letters to put in the fridge until firm. 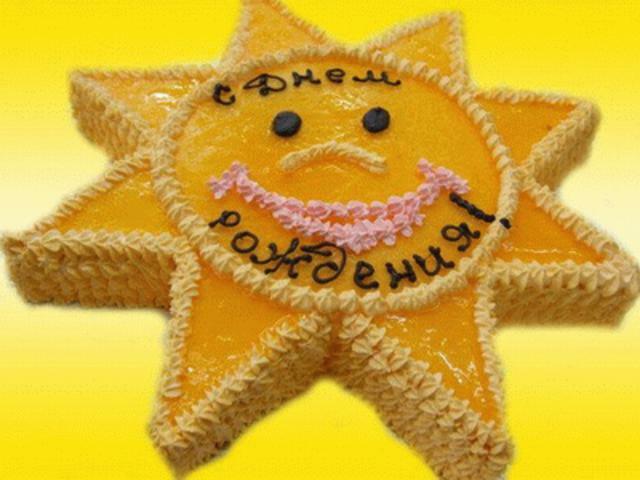 If you want to surprise and please the birthday boy or the hero of the day, gave him self-made cake with a dedicatory inscription. Believe me, no expensive but universal, impersonal masterpiece can not be compared with a product made specifically for a certain person, taking into account features of his character and taste preferences, and even specially created for him by text. The inscription on the cake should be informative but not too long. So the text "hero of the day 55" looks much more advantageous than, let's say "Congratulations pyatidesyatipyatiletnego!". A capacious inscription "ENTER" will say more than "the staff of the IT Department from a grateful accounting staff", and to post short text simpler than the florid phrase. It is desirable to specify in the text the name of the person for whom the cake is intended, it is always very pleasant and memorable. Since the cake is intended to create the festive mood, the main emphasis should fall not on the text, and the decorative elements: flowers, figures, vignettes. But still, it is desirable first to make a field label and then place decor: framing curls to lay flowers and other items. Lettering shall not merge with the main tone, it is advisable to use contrasting colors. As a rule, the hero of the occasion always photographed against the background of this gorgeous sweet gift and greeting text should be in the photo easy to read. For text always prepare a piece of clean and smooth margins for writing, no dents and bumps in this place should not be, otherwise the inscription will turn out rough. Important! Always, before writing a text, always procircuit toothpick in the "field" thin lines, within which will be written text, or keep a constant height and slope of a font is very difficult. With a toothpick lightly outline and the location of the letters. Pre-on paper do not be lazy and create a sketch of the signature, so you will be able to understand if it will include the intended word in the right place . Never do the hyphenated syllables on the cake! It looks slovenly and rude. 1. .Mix 2 tbsp butter with 2 tbsp of sifted cocoa to the butter is completely mixed with the cocoa and formed a soft paste. 2. Melt a tile black or white chocolate. 3. Roll "sausage" or cut "ribbons" out of colored putty. 4. Cook butter or protein cream and add food coloring. 5. Grate chocolate on a grater and make it the lettering through the stencil. 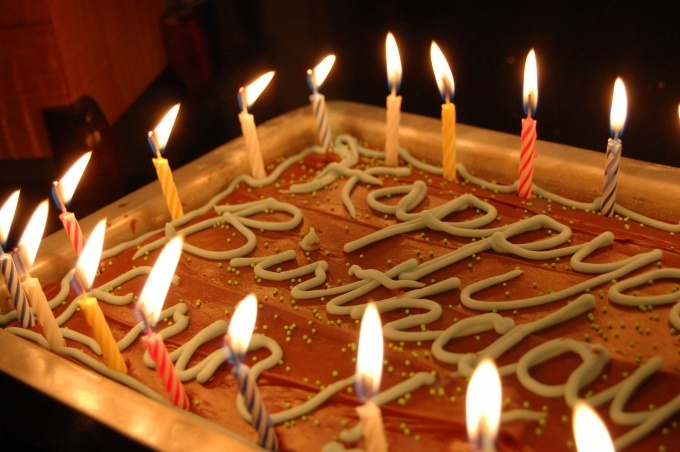 Colored ink can be applied directly on the cake (non-separable by a line or dot method), but you can on a sheet of polyethylene, which is placed drawn with a pencil on paper text. The billet is removed in the refrigerator and then frozen letters carefully transferred onto the cake, brushing them with melted chocolate at the bottom. If when writing you make a mistake, remove the piece from the letters, set the cake in the cold, then remove the frozen "error" and replace it with a newly written letter.